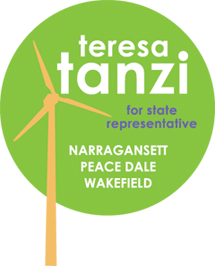 Rep. Teresa Tanzi has secured a $1,000 legislative grant for A Community Together of Wakefield. A Community Together is a new non-profit organization that coordinates affordable aging-in-place services for older adults by utilizing community agencies, volunteers technology and paid services. The grant is being used to cover the costs of setting up a web-based platform to track members’ and volunteers’ information, requests, services and donations, and create a website. It will also cover the first year of operating that system. “This grant will provide the opportunity for the organization to serve our neighbors in South Kingstown and Narragansett as they age in place,” said Beth Leconte, chair of the organization’s steering committee. “I greatly appreciate the work A Community Together will be doing for the people of South Kingstown and Narragansett. Every community should be lucky enough to have such an innovative and dedicated organization helping to connect older adults to all the services and volunteers that are available to help make it possible for them to remain living in their homes. A Community Together is making terrific contributions to the fabric of our community, connecting neighbors to neighbors and enabling longtime residents to continue being part of their neighborhoods,” said Representative Tanzi (D-Dist. 34, South Kingstown, Narragansett). For more information about A Community Together, visit https://acommunitytogether.helpfulvillage.com or e-mail actneighbors@gmail.com.